Our correspondent in Nashville scouts the best of grooming in the South. Swing wide the doors to Parlour & Juke and it’s clear that this salon—built out of rough timber and exposed brick—has found the cool in Southern styling. It's a grooming parlour with a hearty dose of juke-joint quirk, and the Nashville shrine is a favorite for locals and Music City celebrities alike. Owned and operated by an Alabama-bred preacher’s daughter, Cali DeVaney’s juke is filled with a slew of Nashville's top hairdressers and barbers. Looking for a specialty hour-long straight razor shave? Settle in while sipping a Yazoo beer, southern soda Cheerwine or the occasional mason jar of bourbon-soaked cherries. A stylist provides the refreshments, and then comes the cut. The industrial-like, former photography studio is spacious, and fosters an inviting, down-home vibe. While paying homage to DeVaney’s rural south roots, there are dashes of a Nashville touch. A southern gothic flair mixed with current music, folk art and high culture aides to the salon’s overall atmosphere. The place is layered with meaningful memorabilia, like the shelves made by her great-grandfather or the refurbished bar lined with top of the line products. Cow tags from the farm she grew up on are delicately hung from the ceiling, alongside hand-made quilts from her great-grandmother. Following another wall, you’ll find antlers abound, garnished with colorful hair hanging in a swiped up ponytail. Not to be outmatched by the décor, the stories told in chair are colored and vibrant. After all, these are southern storytellers with the special expertise of weilding scissors. Being Music City and situated above the Mercy Lounge and Cannery Ballroom, it’s not uncommon to hear daily sound checks from the famed Nashville music venues next door, which is just the way DeVaney likes it. Music is very much at the forefront of this salon’s vibe, and they welcome the sound of new tunes quietly seeping through their spacious studio and into the overall atmosphere. Advocates of Nashville’s flourishing music scene, Parlour & Juke also host a series of “Live Cuts,” where you can catch a variety of musicians taking over their parlor while jamming out. It’s not uncommon to see posters and memorabilia tacked on walls or perched on salon stations as remnants of a good time. While seated in a chair at Parlor & Juke, the layered vibe hits through all southern memorabilia, treasured vintage finds, and Willie Nelson watching over the trimmings. There's the raw sounds of soundchecks seeping through the floors. Outside, a train rolls by. 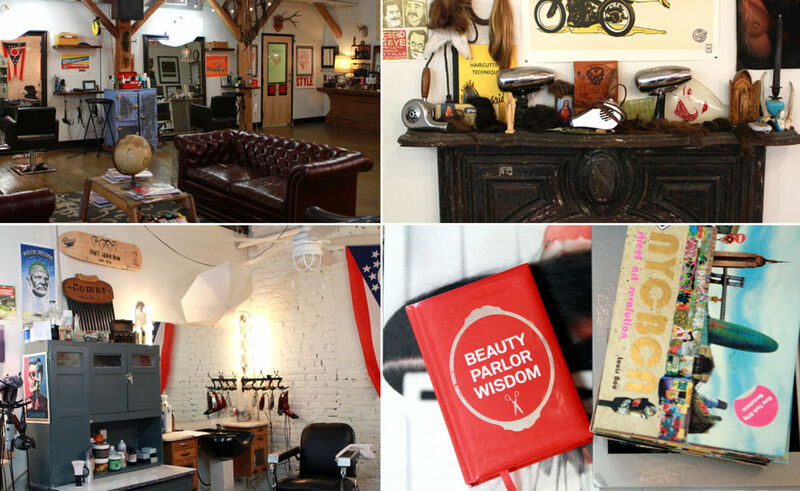 This is the heart of Nashville, and the salon's making a high culture of the elevated hair cut experience—folk art inspired, but created one intentional snip at a time. Follow the author on Facebook, Twitter, and Instagram. Images ©: Under the Guise.